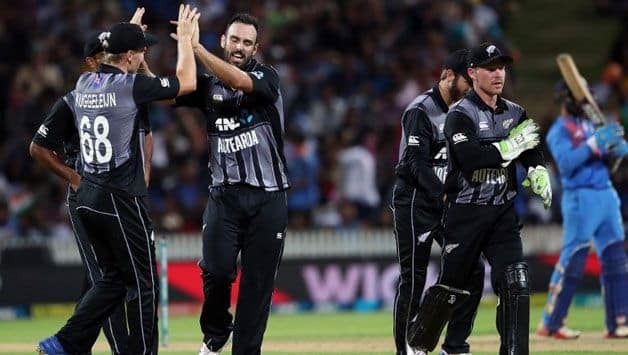 Despite a stunning assault from Dinesh Karthik and Krunal Pandya towards the end, New Zealand avoided a scare to register a frantic last-over win. For the second time in the series, India were unable to succeed in their quest to chase down a 200-plus total by New Zealand. 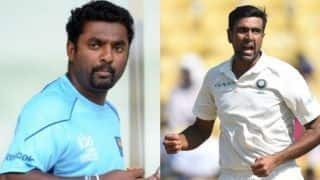 India’s promising start to the chase was marred by a late collapse with batsmen buckling under the pressure of a climbing asking rate as they eventually fell short of the imposing 213-run target by a narrow margin of four runs, ensuring New Zealand clinched the series 2-1. 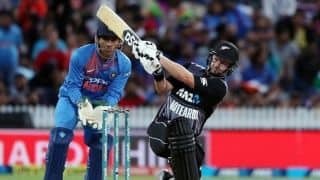 As per the tale in the first ODI in Wellington, New Zealand batted first and posted 212, the elements comprising a solid opening stand between Colin Munro and Tim Seifert and a late flourish from Colin de Grandhomme. India’s chase was punctured by a flurry of wickets in the second half of the innings, some disciplined bowling from the hosts and most importantly, their near flawless performance on the field which was a stark contrast to India. Despite a stunning assault from Dinesh Karthik and Krunal Pandya towards the end that saw the two batsmen add 63 off 28 balls, New Zealand avoided a scare to register a frantic last-over win. India’s chase was jolted early with the wicket of Shikhar Dhawan in the first over. Vijay Shankar and Rohit Sharma brought them back with a partnership of 75. 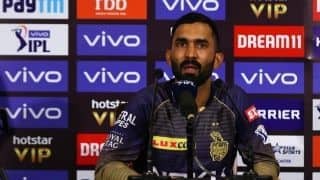 Surprisingly, Shankar was the aggressor in this association, beginning his knock with a couple of boundaries off Scott Kuggeleijn, followed by back-to-back sixes off Ish Sodhi. Having played a fabulous inside out shot for his final boundary, he swept Mitchell Santner before perishing in the deep. 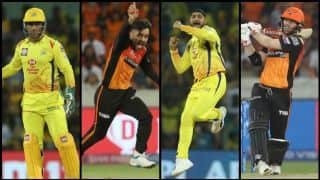 The wicket of Shankar was likely to put pressure on Rohit, but Rishabh Pant played down the possibility of that particular scenario with a cracking start. His first six balls read: 4, 6, 6, 0, 1, 6. But the prospect of this cameo turning into something more substantial was extinguished by debutant Blair Tickner. Two overs without a boundary, Pant swiped a full toss straight to Williamson at mid-wicket. 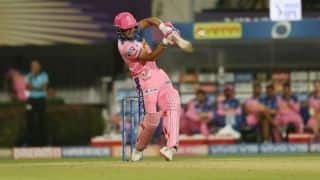 Out came Hardik Pandya and he dispatched the first ball for a marauding pull shot over square leg, followed why a bludgeoning whip towards midwicket and a full-blooded straight drive that thudded into the sightscreen. A very unusual Rohit innings came to an end when he was 38 off 32. 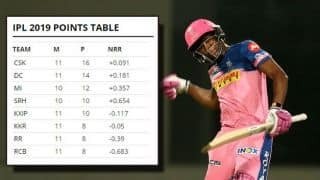 Having a strike rate of 150 in chases since 2015, Rohit needed two sixes to become the highest six-hitter in T20Is. But he didn’t even equal Martin Guptill and managed just three boundaries. When he decided it was finally time to cut loose, he nicked Mitchell to Seifert. 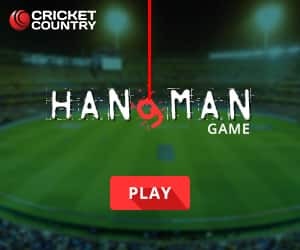 The body blow for India were the back-to-back dismissals of Pandya, top edging Kuggeleijn to the New Zealand skipper and MS Dhoni in the same over. Karthik and Krunal injected sudden life in the chase with some lusty blows, 32 off the 18th and 19th over combined. 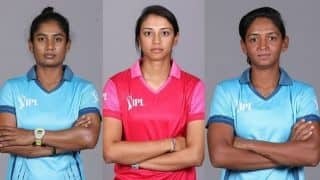 The two got India perilously close to pulling off a stunning win, bringing the equation down to 16 off the final over, but there wasn’t going to be a repeat of the Nidahas Trophy final. New Zealand hung in for a close win, despite Karthik finishing with a six off the final ball. A day after he was dropped from the squad for the first two ODIs against Bangladesh, Munro dispelled his disappointment with a sparkling half-century. 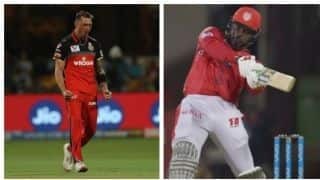 From the moment he walked out, Munro looked in imperious touch, the first sign of which was evident from a flat-batted six off Bhuvneshwar Kumar in the first over. Despite a tidy first spell from him, Munro and Seifert produced a repeat of their assault in Wellington. 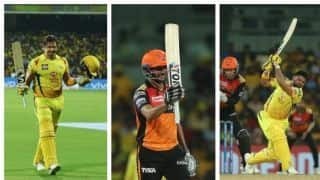 With the score on 21 for 3, Seifert began the damage, taking Khaleel Ahmed for 16 runs in the fourth over, followed by his and Munro’s scathing attack in Krunal opening over which went for 20. By the Powerplay, New Zealand had raced to 66 without loss. 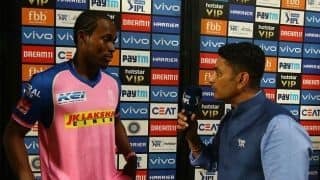 Siefert provided glimpses of his attacking self from the first ODI, wading, and playing the pick-up sweeps, but it was cut short by Kuldeep Yadav. 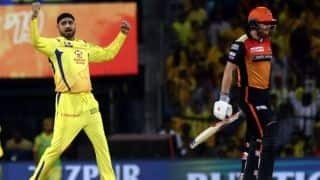 His wrong one, combined with a vintage MS Dhoni stumping sent the opener back seven short of a half-century, although to a dubious call from the third umpire. Kuldeep continued to fox Williamson with his variations, but Munro’s relentless attack from one end, kept New Zealand ticking. The 100 was up in the 11th over. Munro was offered some treats on the legside, and the batsmen ensured he didn’t miss them. Half-volley and short balls were slog swept and pulled emphatically over square leg and the ones outside off was drilled through sweeper cover. 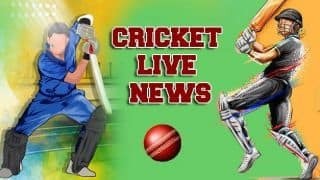 Two sixes in space of four balls, identical slog sweeps off Kuldeep and Krunal brought up Munro’s fifty off just 28 balls, before he decided to switch gears to throw the Indian attack off guard. Sloppy fielding and dropped catches did not help India in the field. The first ball of the eventful 13th over saw Khaleel Ahmed drop a sitter to offer Munro a reprieve. That however, was just the beginning of an eventful over. Munro added insult to injury off the he third, fourth and fifth ball of the over that resulted in 14. Within no time, Munro had scrambled to 72 off 39 before Kuldeep had Munro out caught at long-on. India sensed a door and tried knocking it down with the with the wicket of Williamson, top edging Khaleel to Kuldeep at short fine leg. But the platform for a big total had already been set and taking New Zealand forward was de Gradhomme. He took a boundary and a six off Krunal’s final over, and spoiled Bhuvneshwar’s second spell with a 15-run over. Brief Scores: New Zealand 212 for 4 (Colin Munro 72, Tim Seifert 43; Kuldeep Yadav 2 for 26) beat India 208 for 6 (Vijay Shankar 43, Rohit Sharma 38; Daryl Mitchell 2 for 27) by 4 runs.